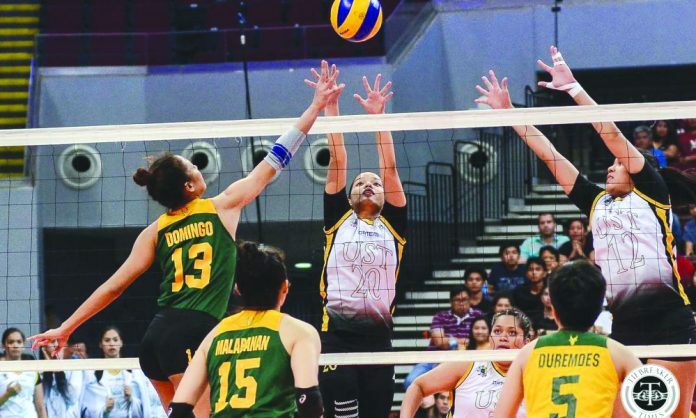 MANILA – University of Santo Tomas Golden Tigresses made a quick work of Far Eastern University Lady Tamaraws, 25-23, 25-19, 25-23, in the UAAP Season 81 women’s volleyball on Sunday night at the SM Mall of Asia Arena in Pasay City. 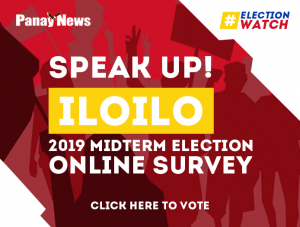 Cherry Rondina tallied 21 points, on 17 attacks, three service aces and a block, while Ejiya Laure added 17 markers for the Golden Tigresses, which moved up to solo third spot with 9-4 win-loss slate. After trailing early in the first set, the Golden Tigresses leaned on Laure and Ysa Jimenez for a 16-11 lead. The Lady Tamaraws rallied back and was able to trim the deficit to 23-24 before Rondina closed the set with a crosscourt hit. From a slow start in the second set, the Golden Tigresses surged to a 19-12 lead with hits from Laure and Mary Pacres. 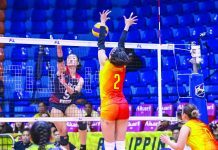 The Lady Tamaraws attempted another run but could only come to as close as seven points. Golden Tigresses started strong in the third set and was able to establish a 20-14 lead but the Lady Tamaraws clawed its way back to take a 22-20 edge before Rondina and Laure conspired for the last five points to take the set. 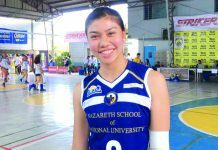 Heather Guino-o was the lone bright spot for the Lady Tamaraws (8-5) with 14 points, on 11 attacks, two service aces and a block, while Jerrili Malabanan was limited to just five points. 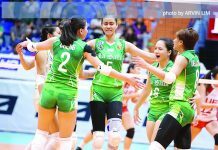 Regardless the outcome, both Golden Tigresses and Lady Tamaraws have already formalized their entry in the Final Four along with Ateneo de Manila University Lady Eagles (10-2) and De La Salle University Lady Spikers (9-3).